Media Mess | Back Page | Style Weekly - Richmond, VA local news, arts, and events. Mainstream media organizations are for-profit enterprises that can't afford to take the risks required by a diverse and democratic media. Scandals, though, typically conceal more than they reveal. For starters, most reports of the Bush media scandals focus on whether it's right for the government to engage in such practices. But the media display little, if any, concern about their own practices for deciding who is a legitimate expert or for running VNRs as if they were honest journalism. The scandals, in other words, suggest a problem with the media which is not part of our public discussion. To answer that question we need to ask a more specific one: What is the ideal role of media in a society that supposedly values democracy? Or, if that seems too utopian, what's the ideal relation between media and informed citizens? While it is worth considering that question in terms of information and entertainment, let's look at the former. Here are two suggestions. First, it might be good for the media to offer a variety of voices and opinions, not just those of society's most powerful groups, but also those of the least powerful, the poor, the marginalized. But we don't have that. Women, people of color, poor people and sexual minorities are woefully underrepresented or misrepresented in media, especially as pundits and experts on the various news shows. Not only are their voices missing but so is coverage of the issues that affect those groups. Second, it might be a good idea for the media to assume a more questioning role in relation to the government. This would be an important way of holding it accountable to "the people," especially those who lack direct access to channels of power. But we don't have that either. For example, coverage of the war in Iraq is dominated by military and government, while anti-war voices are severely underrepresented relative to anti-war sentiment in the population. And, as the case of the VNRs suggests, when official government sources are used  which is the norm  they are rarely questioned. Now, presuming these two media values are relatively shared by democratically oriented people, why is there such a gap between what we have and what we value when it comes to the media's role in our society? Answer: Mainstream media organizations are for-profit enterprises that can't afford to take the risks required by a diverse and democratic media. The problem has to do with the way the media is structured around profit and conglomeration. In the system that we actually have, news shows are held accountable not for their tenacity or veracity so much as for their ability to generate high ratings for advertisers. The bottom line, after all, is the bottom line. When there is an overriding imperative for news outlets to select and frame news items so that audience share is maximized, the priorities of democracy most often take a back seat. For example, if a news director has a choice between running a story on the complex behind-the-scenes dealings that led to the befuddling choice of Paul Wolfowitz to head the World Bank and the heart-wrenching, image-laden story of the Michael Jackson trial, the latter almost always wins out. That's because you capture audience share not with nuance, but with arresting images and oversimplified drama. If you have to use air time to actually explain the World Bank, a lot of viewers will change the channel before the commercial break. 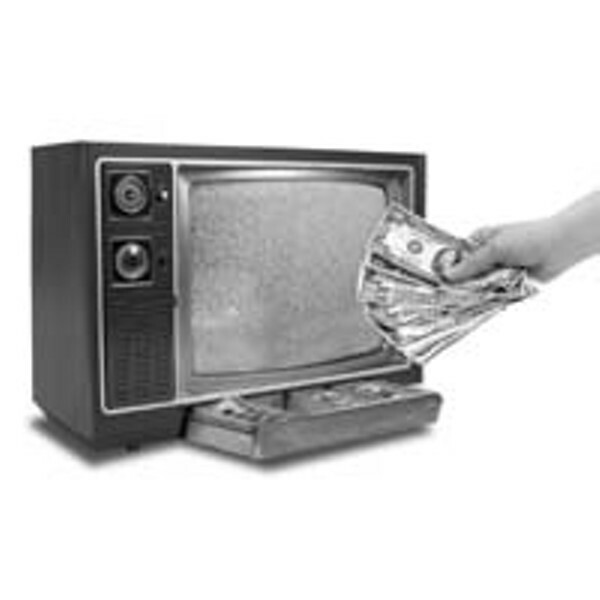 You want eyeballs in front of TVs because that and only that is what generates ad revenues. News, which is supposedly the opposite of entertainment, succeeds to the extent that it entertains. So, when you think about it this way, the recent "scandals" of the Bush administration are not scandals at all, because an already scandalous media system made these minor travesties possible. And it's worth asking what it means that we are being governed by a group of people whose obsession with their own power leads them to knowingly exploit an undemocratic media system. I wonder what it would be like to have a government that actually wanted marginalized voices to be heard, that understood the importance of being held accountable by a ferocious press, and that took democracy seriously. I have trouble even imagining it. Perhaps, then, the ultimate, unspoken scandal is that we as citizens accept this state of affairs, this State of Denial. Glyn Hughes is a visiting assistant professor of sociology at the University of Richmond, where he teaches courses on media and social movements.